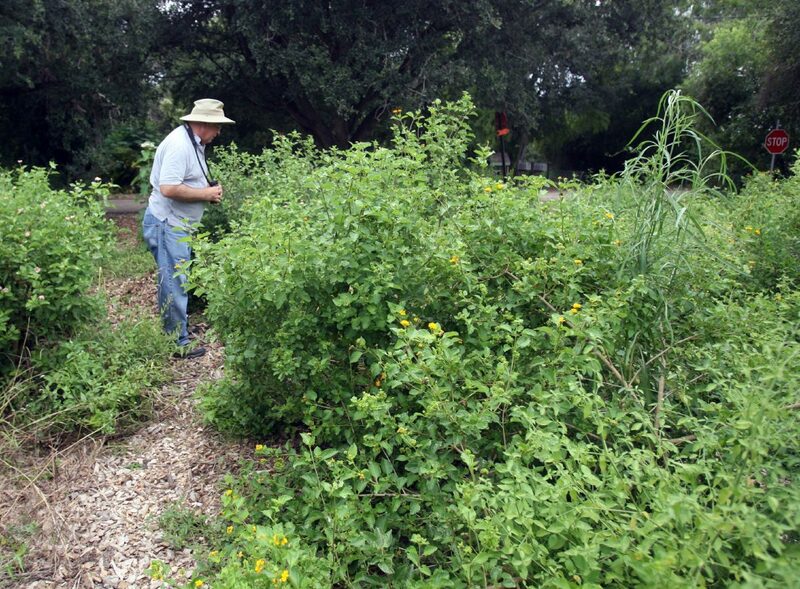 John Lamey spots different native butterflies at the Estero Llano Grande State Park Aug. 9, 2014. As much as $10,000 will be awarded to Rio Grande Valley projects for grassland restoration and the Holly Beach acquisition. These are two among seven conservation projects awarded grant funds and were chosen by the winners — youth participants — of the 22nd annual Great Texas Birding Classic, which recently concluded another bird-watching competition, according to a Texas Parks and Wildlife Department news release issued Wednesday. TPWD called the classic “the largest and longest” bird-watching competition in the United States. Grants range between $2,750 and $10,000. Free Falling Falcons and the Mercedes Red Crowns, two of the aforementioned classic winners, selected the following projects for funding: the $5,000 Toyota Conservation Grant for the Holly Beach acquisition, and the $5,000 State Park Conservation Grant for the restoration of grassland at Estero Llano Grande State Park in Weslaco, respectively. Funds for the beach acquisition will contribute directly to a multi-million dollar project securing the 1,540-acre tract, located along 4 miles of the Laguna Madre frontage for inclusion in the National Wildlife Refuge, according to the release. Grant money for the grassland restoration at Estero Llano Grande will go toward the removal of invasive species to enable the restoration of 10-acres worth of grassland habitat within the park using native grasses, forbs and shrubs, the release further read. The classic, according to TPWD, has awarded $954,000 in grants for on-the-ground habitat acquisition, restoration and enhancement projects for more than 22 years.